The CHRISTUS Southeast Texas Foundation received a grant from the Will Rogers Foundation Brave Beginnings Program to purchase one transport incubator. 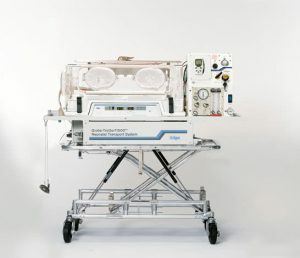 Brave Beginnings is a program of the Will Rogers Motion Picture Pioneers Foundation working to ensure ventilators and vital neonatal equipment are always available to newborns in critical need. Since 2006, Brave Beginnings has contributed millions of dollars to facilities across the United States. Each year, the program spends roughly $1 million in grants awarded to hospitals nationwide. The funds are used to purchase vital equipment for Neonatal Intensive Care Units (NICUs) caring for fragile lives born too soon. Transport Incubators are vital to the CHRISTUS Southeast Texas St. Elizabeth NICU. Every admission to the NICU is transported from the delivery room to the NICU in a transport incubator. Additionally, admissions from the emergency department and well newborns requiring diagnostic testing off the floor are transported in a transport incubator.